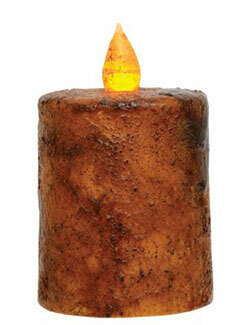 Battery Pillar & Votive Candles - Enjoy the ambiance of candle light without the flame with a battery operated candle! This for the pillars and votives. 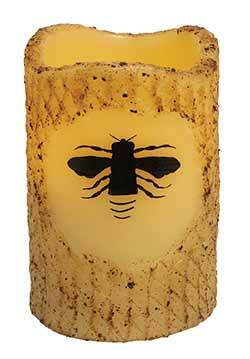 Ivory LED Pillar Candle, by The Hearthside Collection. 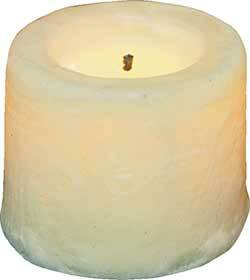 This ivory battery candle will add a warm glow to your home, wedding, holiday, or party! Makes a great table centerpiece, or mantel decor. 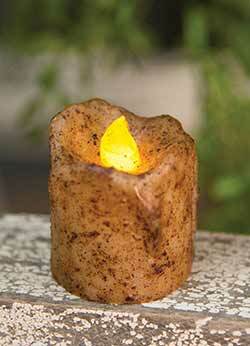 Coated with grungy ivory wax, with a "burnt" faux wick and flickering light. 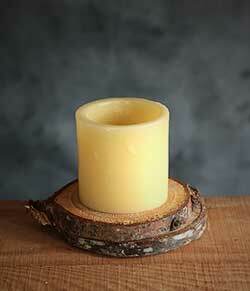 5 inch Ivory Primitive Flameless Pillar Candle. With it's life-like flickering "flame," this battery-operated pillar candle adds the ambiance of candlelight without the danger of fire! 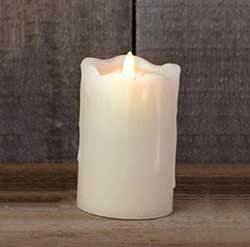 With it's warm ivory color and drippy wax, this elegant candle adds an inviting glow to your home, party, or wedding! 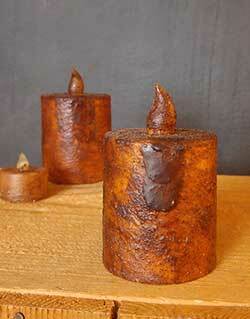 5 inch Rust Primitive Flameless Pillar Candle. 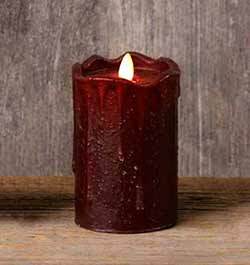 With it's life-like flickering "flame," his battery-operated pillar candle adds the ambiance of candlelight without the danger of fire! 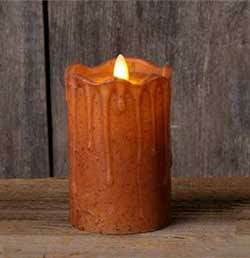 Accented with drippy wax and spices, this rusty brown primitive style candle adds a warm and homey glow to a table, shelf or mantel. 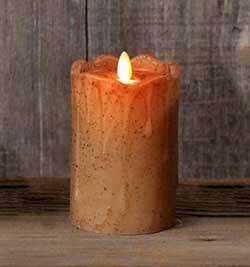 5 inch Tan Primitive Flameless Pillar Candle. With it's life-like flickering "flame," his battery-operated pillar candle adds the ambiance of candlelight without the danger of fire! 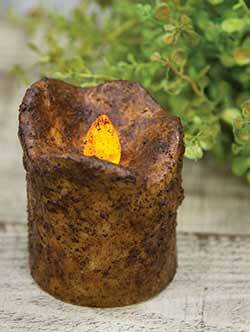 Accented with drippy wax and spices, this primitive style candle adds a warm and homey glow to a table, shelf or mantel.